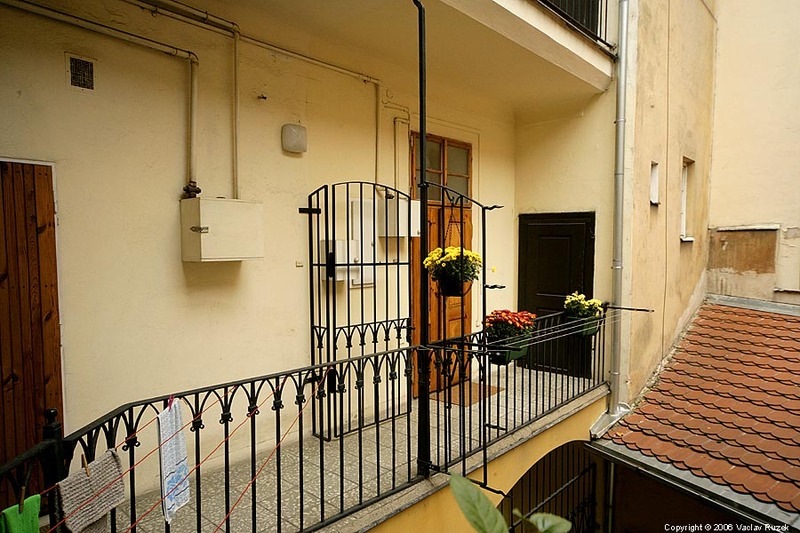 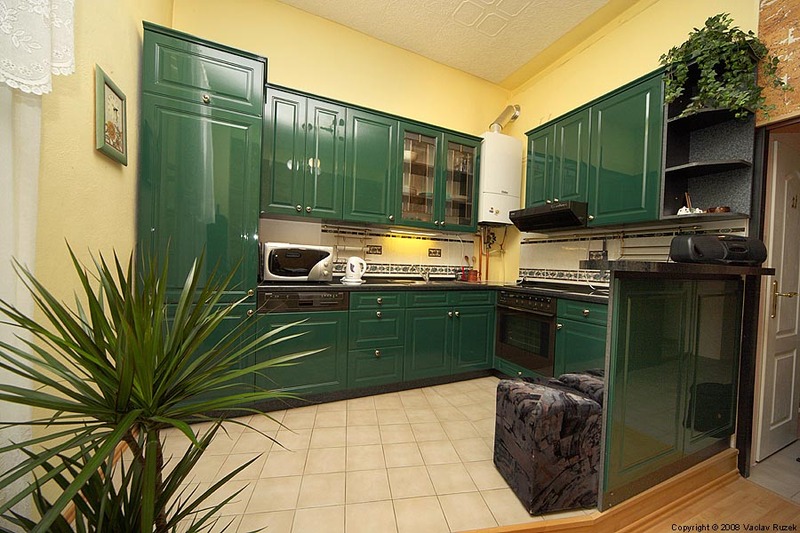 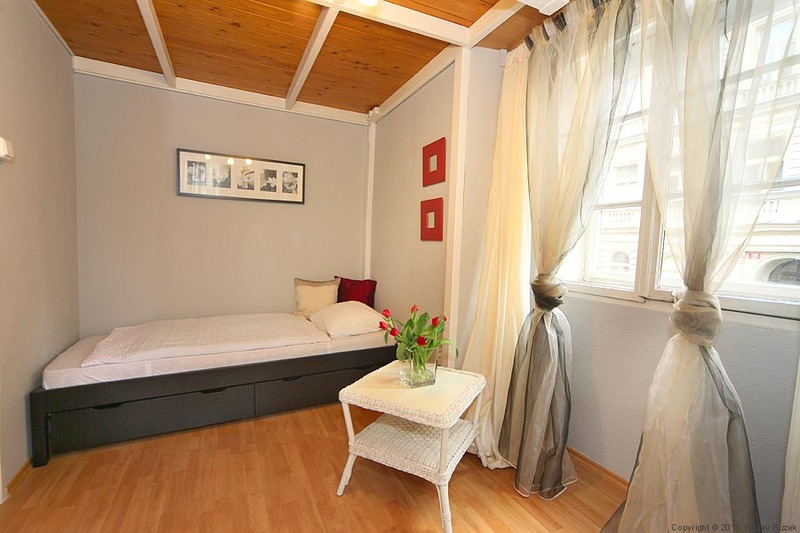 Excellent location directly in the historical centre of Prague in the street Karoliny Svetle, just 320 metres from the Charles Bridge and 650 metres from the Old Town Square. 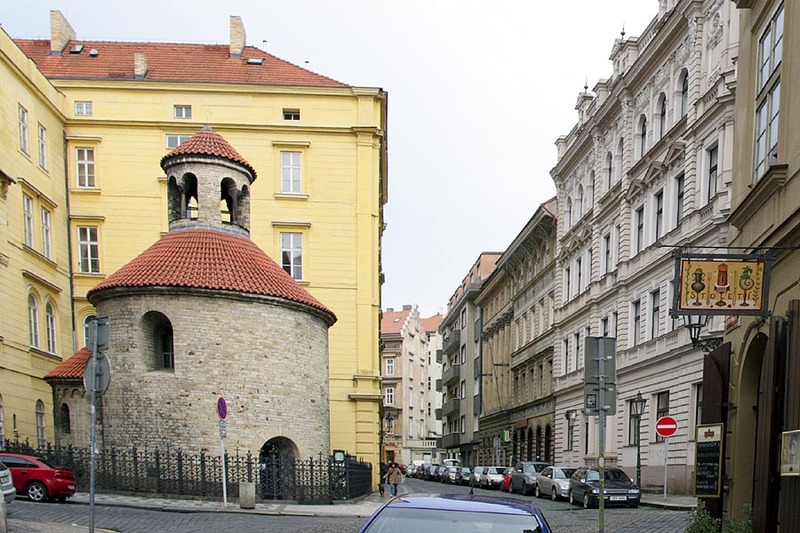 Accross the street is the roman Rotunda of Holy Crux from 11th century. The apartments are located in a historical house from 15th century, side by side on the 1st floor (without elevator). Despite the central location the street is quiet, but some small bars and restaurants with special atmosphere are here for your breakfast, dinner or drink in the afternoon. 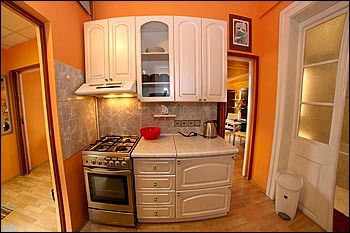 Directly in the house there is a prestigious restaurant Stoleti. 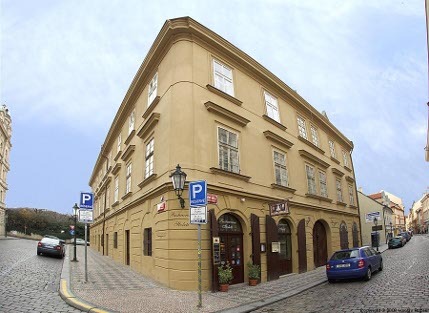 A grocery is in the adjoining house. 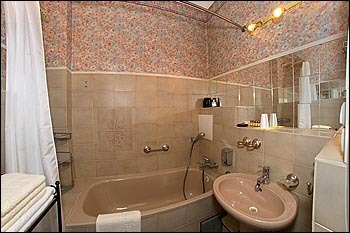 The apartment is composed of a large living room/bedroom, a kitchenette, a bathroom with bathtub and toilet. 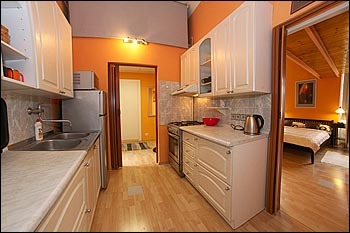 Its total space is 43 sq.m. 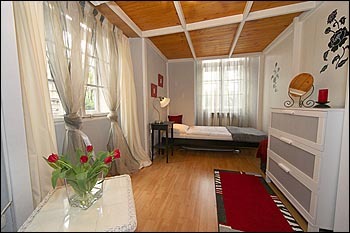 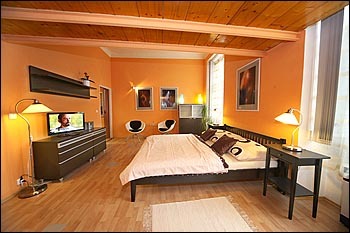 The main room is equipped with a king size double bed and another double bed on the wooden loft. 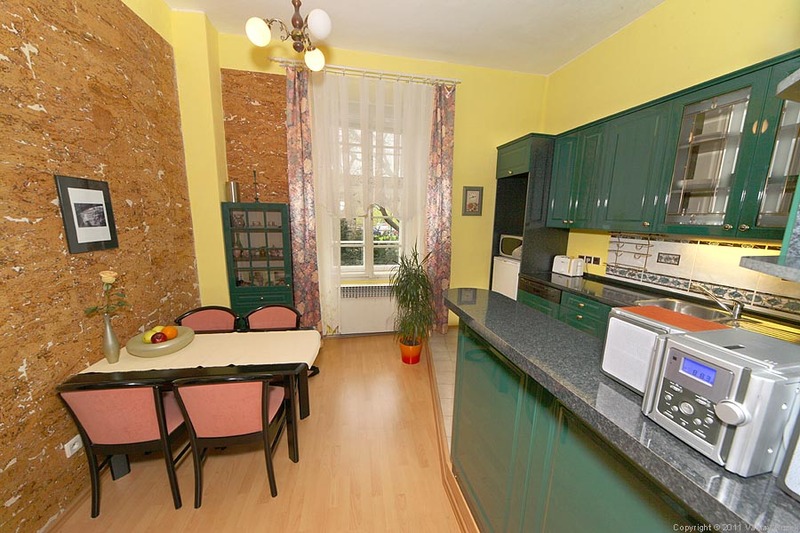 LCD TV SAT and CD player, dinning table with four comfortable chairs, hardwood floors, nice views from the windows (in the winter there is a view of the Prague Castle). Internet connection on request. The kitchenette is equipped with a gas kitchen range with electric oven, microwave oven, refrigerator, electric kettle, kitchen sink and other cooking equipment. 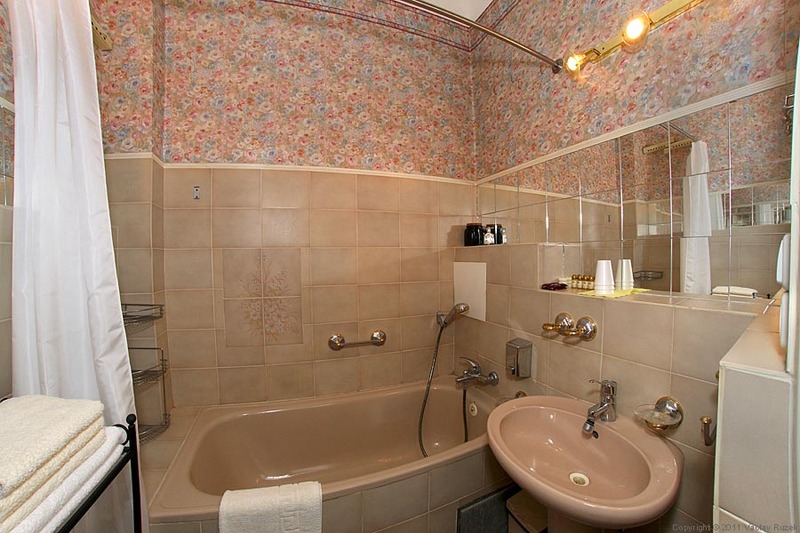 The bathroom has a bathtub and separate toilet. The entrance to the apartment is from the patio corridor terrace - a typical feature of the historical houses in the Old Town. 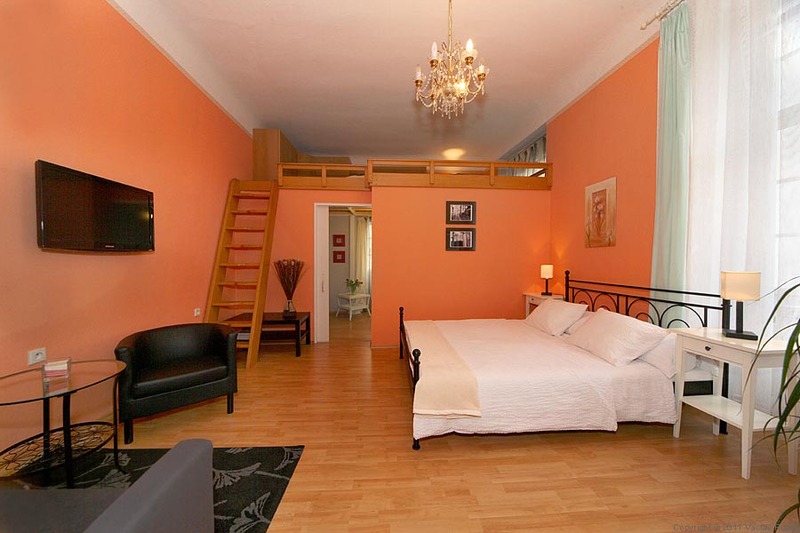 This apartment is just the neighbouring apartment from the apart.no.1 on the same floor. 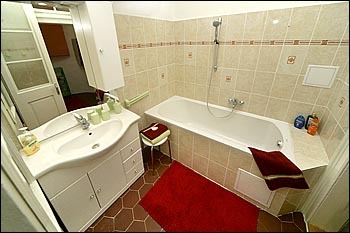 It is composed of a large living room/bedroom, a second small bedroom, kitchen, a bathroom with bathtub and separate toilet. Its total space is 55 sq.m. 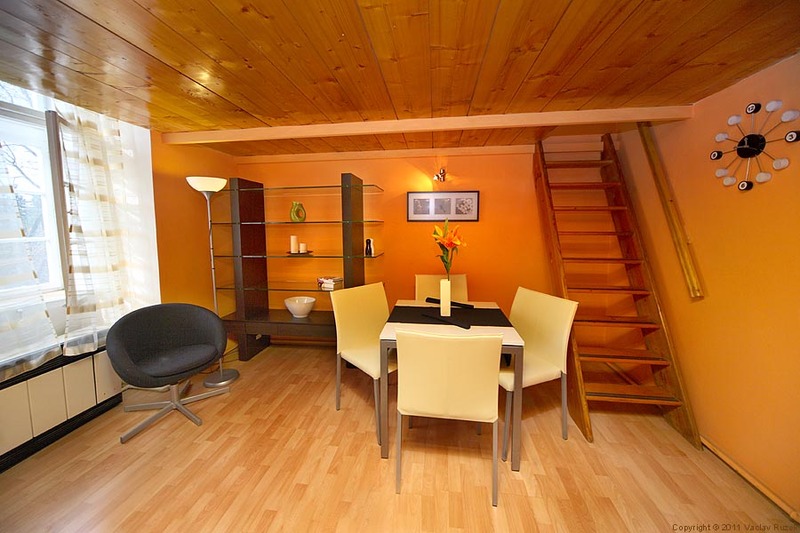 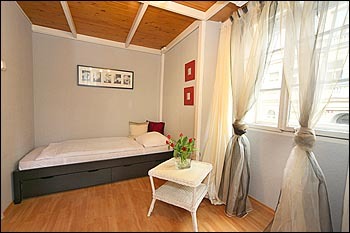 The living room is equipped with a double bed and another two beds are available on the wooden loft. 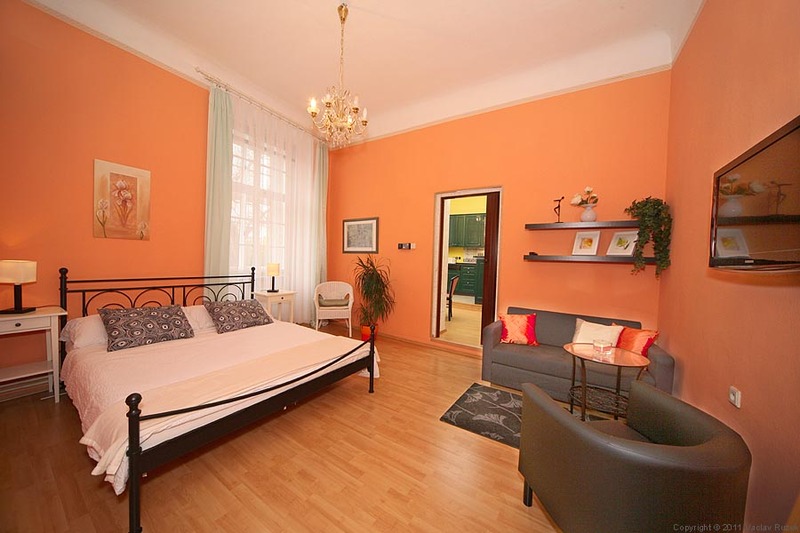 TV SAT in the living room, hardwood floors, nice views from the windows (in the winter there is a view of the Prague Castle). 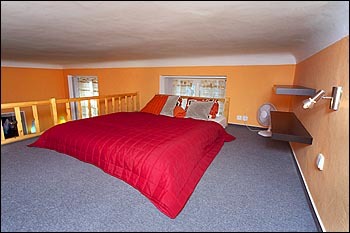 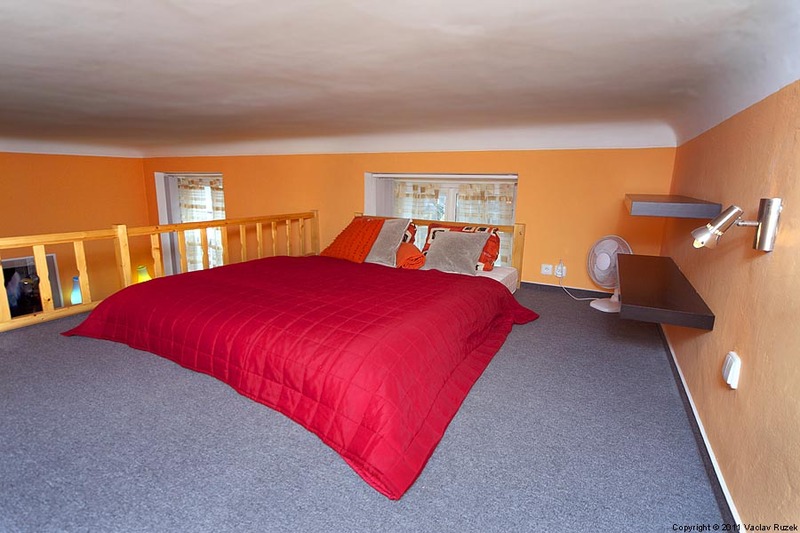 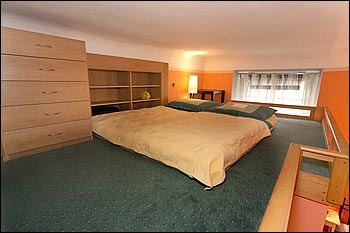 In the second bedroom there are two separated beds. 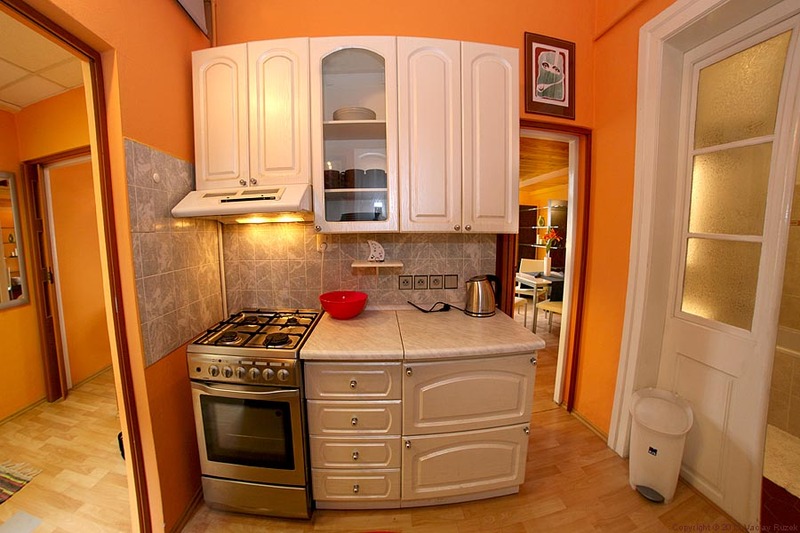 The kitchen is equipped with dinning table with four chairs, a glassceramic electric kitchen range with electric oven, microwave oven, refrigerator, electric kettle, kitchen sink and other cooking equipment. Apartment no.1 is for 3 persons maximum. 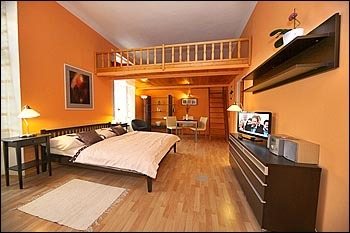 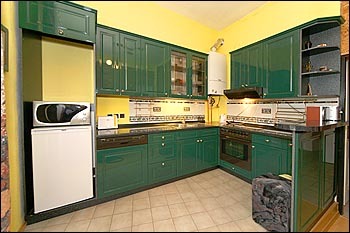 Apartment no.2 is for 4 adults and 2 children maximum.